Best Foundation, is a legally registered charitable organization under Indian Trust Act. . Registered No……..: 376 / 2007. Best Foundation is working for the welfare of livestock rearing farmers in Pondicherry and Tamil Nadu. Now the services are being extended to Kerala, Karnataka and Andhra. Best Foundation encourages the farmers to go in for integrated livestock and agricultural farming in view of the advantages it has over the mono cropping traditionally followed. It has attracted more and more farmers to the new techniques. Vital issues such as shortage of labour, decreasing farm income, optimum use of land and water are effectively addressed. This innovative project involves cultivation of crops like Co4, agathi, ground nut etc in the same acreage where rearing of the livestock like goats and cows is also done. The goats are reared in the semi intensive method. It is surprising and encouraging to note that highly qualified and high salaried persons in non-agri fields like information technology are coming forward to take up goat farming. Best Foundation has approached many Banks for the integrated farming loans for the farmers. Indian Bank branches in Koliyanur and Valavanur in Villupuram Dt, Tamil Nadu, Canara Bank, Sakthi Nagar, Union Bank of India, Kovilpatti, State Bank of India, Perambalur, and Pondicherry Central Co- operative Bank had sanctioned and released loan amount to the farmers. The farmers had already started to rear the goats in their sheds. Many other Banks have started the process of giving loans. 1. Training the farmers for the integrated livestock and agricultural farming. 2. Getting loans from the Banks. 3. Helping the farmers to cultivate the fodder crops. 4. Guiding the farmers to build the proper sheds. 5. Supplying the healthy animals for breeding. 6. Providing concentrate feed to the farmers. 7. Arranging insurance for sheds, animals and farmers. 8. Giving veterinary care monthly. 9. Sending monthly stock reports to the Banks . 10. Selling the animals in high prices. 11. Depositing the sales amount in the farmers’ accounts. 12. Helping the farmers to go in for the expansion. The role played by Best Foundation gives assurance to the Bank on the continuity of the project and on repayment. The farmers are happy to avail the services of Best Foundation. Best Foundation has a farm in Palliputhupattu, 23 kms from Pondicherry. In the farm different varieties of goats and cows are reared. Different kinds of green fodder, crops, and the traditional & herbal medicines are grown there in the farm This farm is an ideal place to have a regular training programme on the integrated livestock farming with different kinds of cows, goats and greed fodder crops and trees. Students of Vet, Agri, and other technocrats can have regular in service training here. 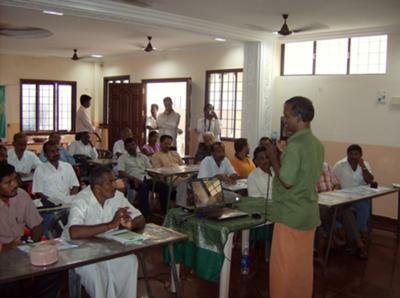 Both residential and non-residential trainings are arranged to the farmers and other groups. 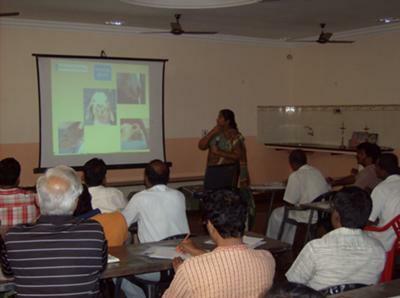 Every month 3 day residential training is given in Good Shepherd Farm, near Pondicherry. Ph: 0413 2290142, M: 9443438532.